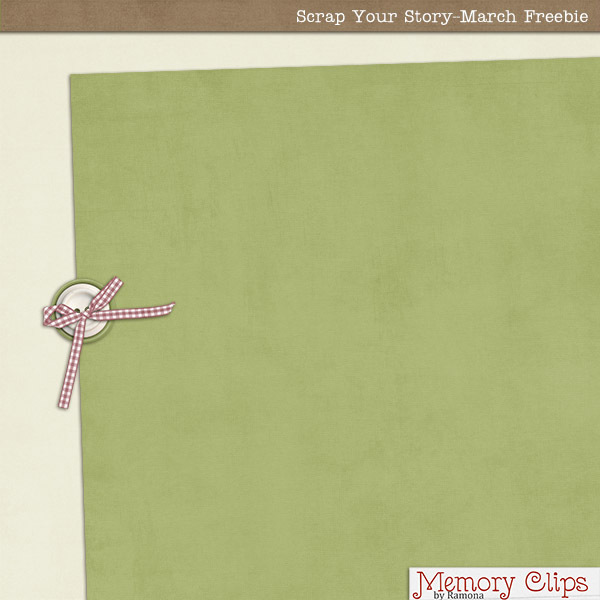 Memory Clips: Last day to save!! Today is the last day to save at our You Matter sale at ScrapMatters! It is also the last day that my $1 and $2 kits will be on sale for such a cheap price! They will never be this low priced again! So snag them now, if you want them!!! Also, it is the last chance to grab the Sample Byte bag of templates at BrownieScraps. Did you see how much you get for only $4.00? Five packs of templates for only $4.00! If you want to grab this, click HERE! Thank you!! Such a lovely shade of green!